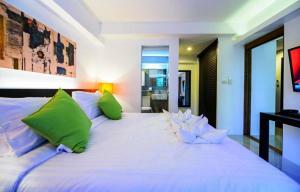 The hotel is 2.9 km from Khao San Road and 6.5 km from Patpong. Suvarnabhumi Airport is 28 km away. Offering a non-smoking unit, accommodation at UMA Residence features a balcony. 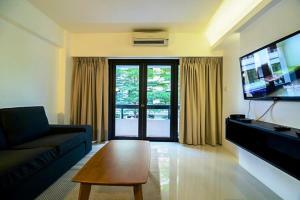 Each unit is equipped with air-conditioning, a 42-inch LCD TV and a safety deposit box. There is also an electric kettle and a refrigerator. 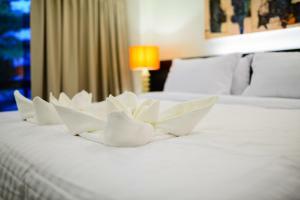 A private bathroom comes with a shower, hairdryer and towels. 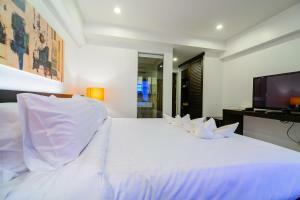 Guests will find a 24-hour front desk and a shared lounge for guests to relax. There is also a free 24-hour snack bar. 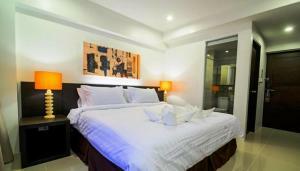 This double room features a balcony, air conditioning and bathrobe.Room comes with a 42-inch flat-screen TV, safety deposit box and refrigerator. Shower facilities are included in an en suite bathroom. 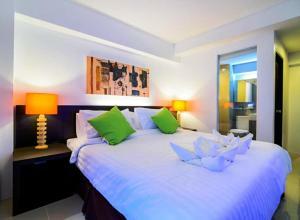 Rate: THB 1435.00 ... THB 2475.00; select dates below to get current rates.